This festive pistachio dessert is healthy! 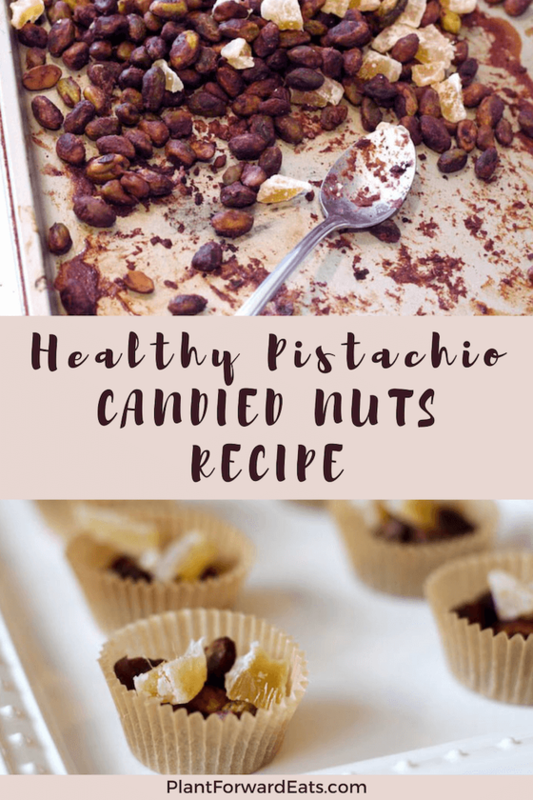 It boasts antioxidant-rich pistachios and candied ginger. Let me start this post by saying that I love dessert. I love making it, and I love eating it. So I'm always up to the challenge of creating a healthy dessert to bring to a holiday party. I happen to have a few gatherings on my calendar for these upcoming celebratory weeks! I decided to start this particular dessert with a base of lightly salted pistachios. They're one of my go-to snacks when I'm feeling hangry, since their fiber, healthy fat, and protein helps keep me full. So I figured my dessert could serve as a sweet treat and a mini satiating snack all in one. I also didn't want to add a lot of sugary ingredients so thought about what I could use that provides natural sweetness. I combined the pistachios with a mixture of pomegranate juice, egg white, and unsweetened cocoa powder. Then I tossed everything together, making sure to evenly coat the pistachios. And then, patience (not my virtue!). I waited an hour to see what these babies tasted like. Let me tell you, it was worth the wait. 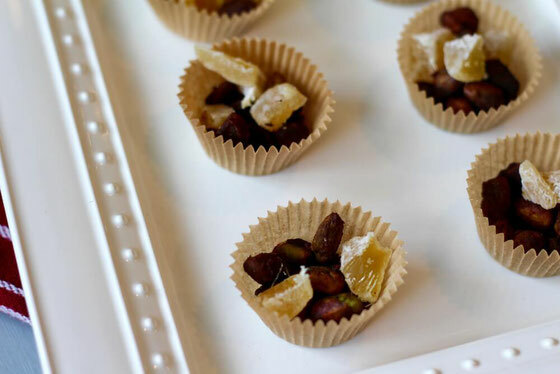 Once the pistachios were out of the oven, I tossed them with diced candied ginger. Then I put the mixture into little muffin cups so that the dessert would be portion controlled. Of course, you can also take a bigger serving to a Christmas Day movie. 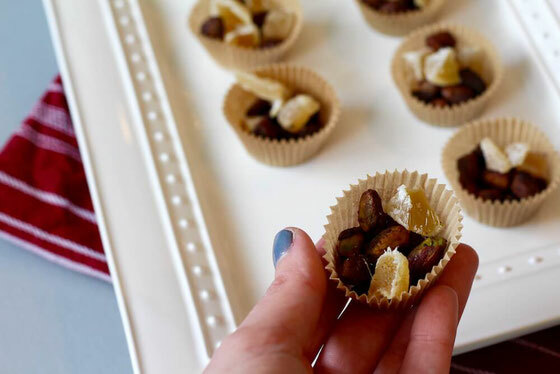 Want more ideas for cooking with pistachios? Try my Fruit-Filled Breakfast Tacos with Pistachios and my Wild Blueberry and Pistachio No-Bake Brie. Preheat oven to 250 degrees Fahrenheit. In a medium bowl, combine juice, egg white, and cocoa powder. 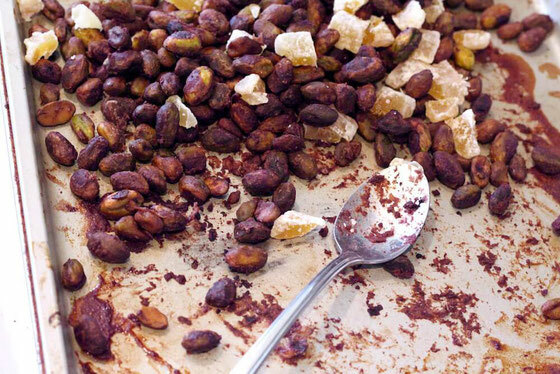 Spray a medium baking sheet with cooking spray oil, then place nut mixture on the sheet in a single layer. Cover with remaining liquid. Cook for 1 hour, tossing every 15 minutes. 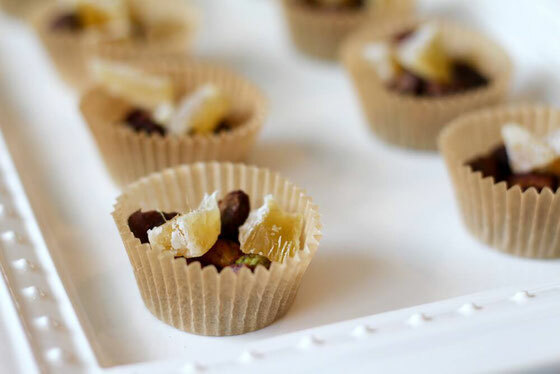 Once cooled, combine with ginger and place in mini muffin containers. Serves 20. What are your thoughts on this topic? What are your favorite healthy desserts?